Intermediate Unit 8 continues exploring the political implications of working with large urban blocks within the ever expanding urbanization of Latin American metropolises through their characteristic city grid. This year the unit moves to Santigo de Chile, a prototypical reference to neoliberal urban development for being the first city to suffer the socio-political consequences of the Chicago Boys’ economic ideas. Even though Santiago is now shifting towards a more socially committed urban agenda, reflected in a number of public works, the city still relays on independent private entities creating a continuous disconnection between public and private interests within the regular colonial grid. From this paradoxical disconnection, the unit will explore the potential of large urban buildings as “substantial immobilities” within the continuous system of capitalist reproduction performed by the gridded city. The unit will work on individual design proposals for a 120x120m urban block within Santiago’s regular grid to be share by public and private premises. The structure of the course will revolve around a formal research on this urban block, interrogating spatial, organizational, material and contextual aspects in three interrelated phases. 1. Material: Inspired by the richness of Chilean material culture, studies on rough material possibilities will be conducted understanding the expression of its natural state, structural logic and organic morphology at multiples scales. 2. Form: Critical studies on Latin-American and European urban block examples will be used to understand formal and spatial organization to be extrapolated as preliminary systems of spatial relations. Diagrams will articulate and structure the programmatic content of the block through successive iterations. 3. Field: Research on socio-cultural and economic aspects that will inform the block programmatic brief. This research will be accompanied by a reading of the city through a collection of maps, photographs and video fragments that will be used for filling the block with content. 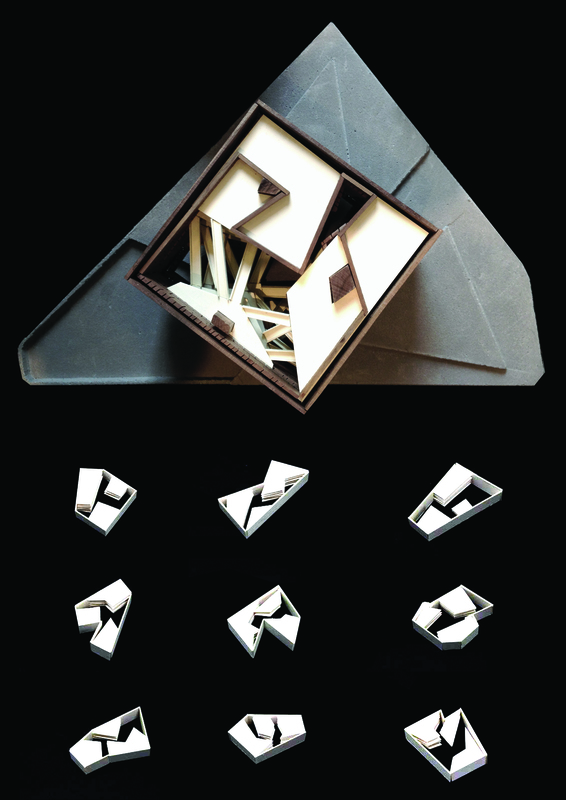 Shereen Doummar Intermediate Unit 8 (2013-14): The block as a condenser of unexpected events in Sao Paulo city centre.